Why you should track revenue in your split tests? Revenue tracking for A/B split tests is utmost important when a monetary transaction is involved (either immediately or at the end of conversion funnel) and a conversion goal may have different monetary values. In some cases, higher conversion rate may translate into lower revenue, so basing all decisions merely on conversion rate can lead you to choosing a variation that actually decreases your revenue. Naturally, you would want to choose a variation which results in higher per visitor revenue even if total number of conversions and conversion rate decreases. 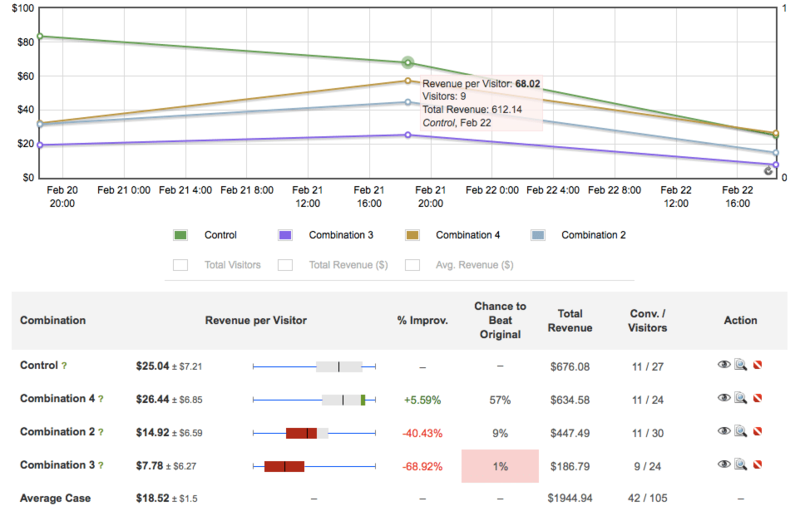 That’s why revenue tracking is so important for A/B, split and multivariate tests. It lets you measure impact of your test variations on a metric that drives your business: revenue. Of course, the value of revenue (49 in this case) will change dynamically depending on actual revenue generated by the visitor. If you already have revenue tracking setup with your web analytics tool (such as Google Analytics), extending it for Visual Website Optimizer should be a piece of cake. If not, just ask your IT guy, he would know where and how to output revenue for tracking. All in all, implementing revenue tracking in Visual Website Optimizer is quite simple. How do Revenue Tracking reports look like? Hope you like this new feature! Let us know if you need any help or assistance with revenue tracking in Visual Website Optimizer. Would be great if you could also see the average order value and which products were sold the most. Could give you more insights which product was sold the most, the one in the middle or the cheapeast option or..etc! Brilliant! I was wondering if and when this feature would be added. Can’t wait to try it out! But I dont understand how to make it work. Lets say you send ALL your paying customers to http://www…/thanks.php. You have 1 product, 2 prices control $10 and variation 1, $20. on the thanks.php page? Do I change 49 to 20? Is this enough? What if I have more variations? Do I need different thank you pages? Or do you mean that our coder needs to code something to pass on the number in the _vis_opt_revenue=49; script? How can he know what variation the user is seeing, when it is handled by vwo? A more detailed explanation would be nice for such a great feature. @User: you don’t have to worry about which variation did the user see. That is taken care of VWO. All you need to do is to output the value of transaction (whatever it may be: $10 or $20) in _vis_opt_revenue on your thank you page. If it is still not clear, I will try to clarify. Sorry, dont get it. Looking forward to a more detailed explanation that I can send my coder. Not many software packages out there let you optimise for revenue per visitor – this makes it easy. In your screendump example you give 3 product, with three different values and three different buttons. Maybe it would be useful if you could tag those buttons with the values, or is this already possible. Won’t work with e-commerce, but with just a few different values it would be useful. 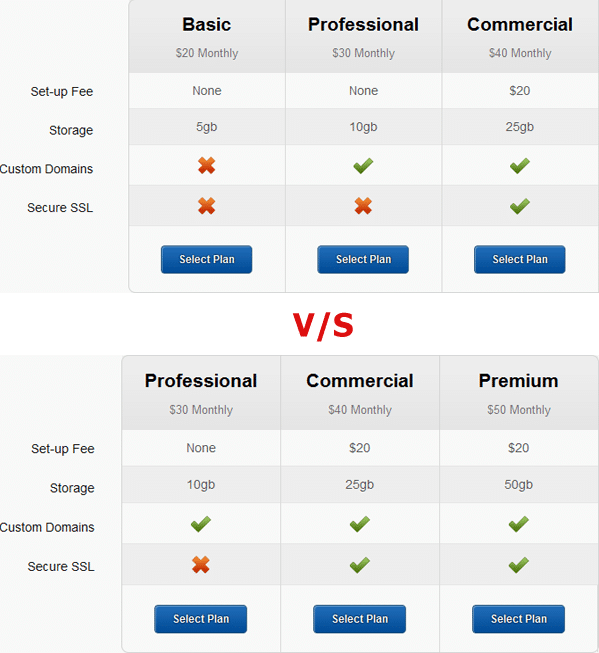 Interesting… Do you normalized for profit as well as revenue. One question: Will the revenue goal be ignored, if “_vis_opt_revenue” is not set? So, could I enter “*” as the URL pattern and then just set “_vis_opt_revenue” whenever I’d like to track revenue? Could the code for a conversion be placed on a 3rd party site? i.e. if your shopping cart is on another domain OR for affiliates? By VWO snippet you mean what ever the JS is that the WP plugin is placing on my site correct? Tracking revenue is half of the equation. If you really want to get a handle on your testing and overall ROI, the ability to track charge back and returns in real-time too is key. Think about how easily it is to put your merchanting at risk because your charge backs and returns are too high. What if you could test your entire sales funnel in real-time. Within 200 clicks, you’d be able to see trends that impact your overall ROI. Not just revenue. Is it possible to pass a variable with a comma or dot to _vis_opt_revenue? I want to separate cents from dollars (or in my case euros), like _vis_opt_revenue=49.05. Or do I need to round the number?